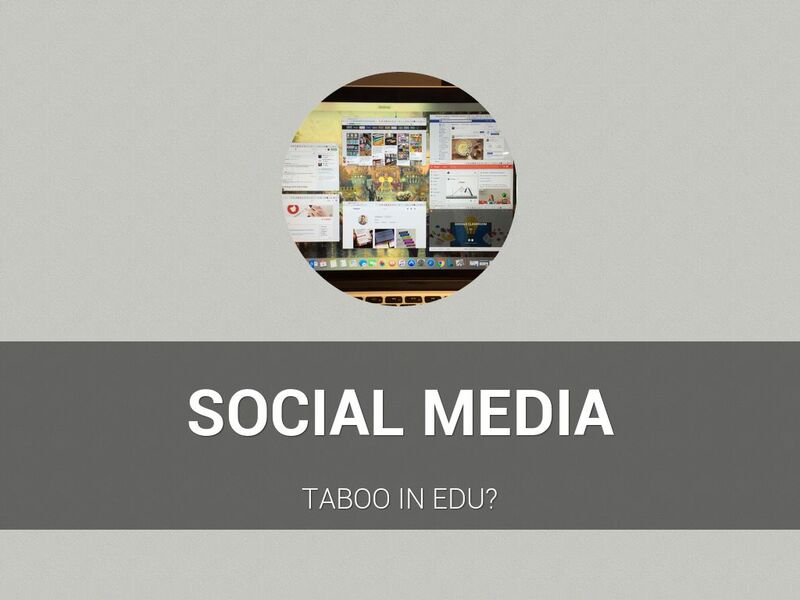 Should Social Media be Taboo in Education? 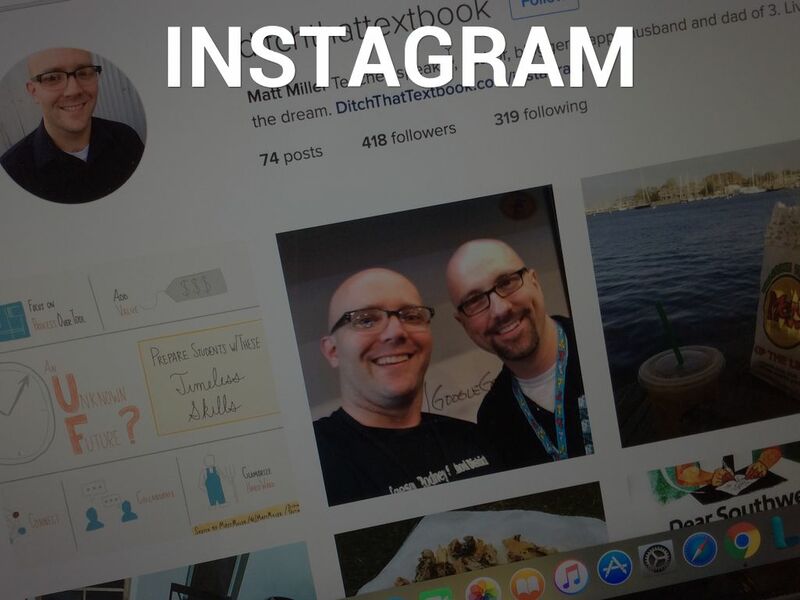 Why should I use social media as an educator? 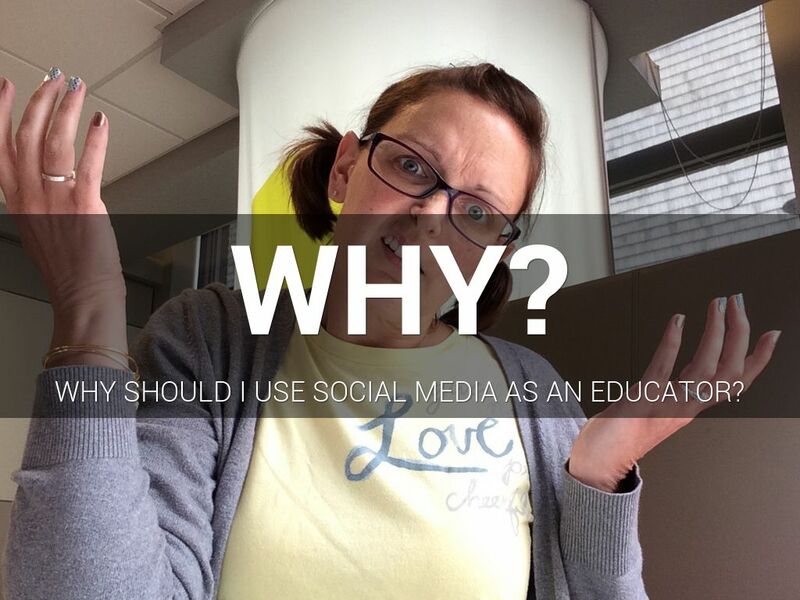 Why would you want to use social media as an educator? There are so many things that can go wrong? In life there are so many things that can go wrong. The important thing is to learn and/or teach how to do things appropriately. This is the case with Social Media. Why avoid it? Teach how to use it appropriately and then see how POWERFUL it can become...for the students and for YOU! 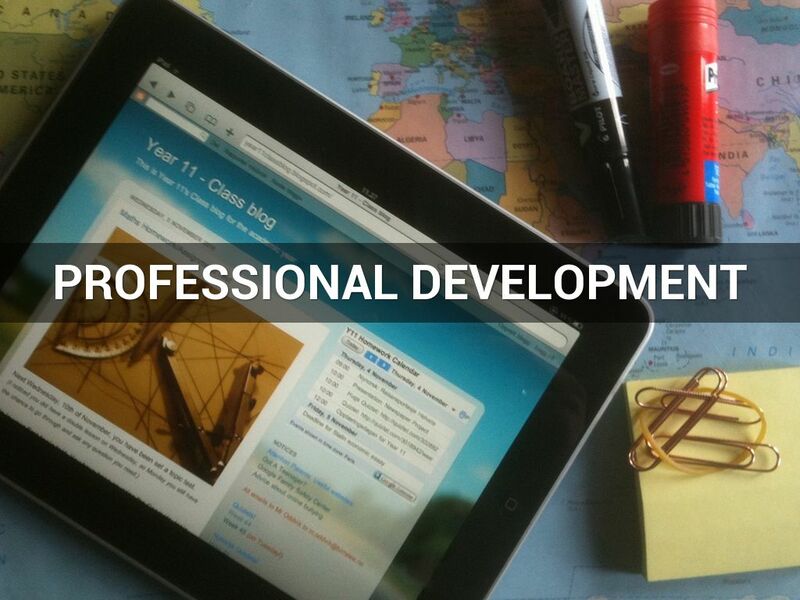 To begin, why not use social media for your own professional development? Now more than ever we are no longer limited to the PD that is provided for us in our school or district. We can talk to experts in real time. We can collaborate with other educators across the globe. 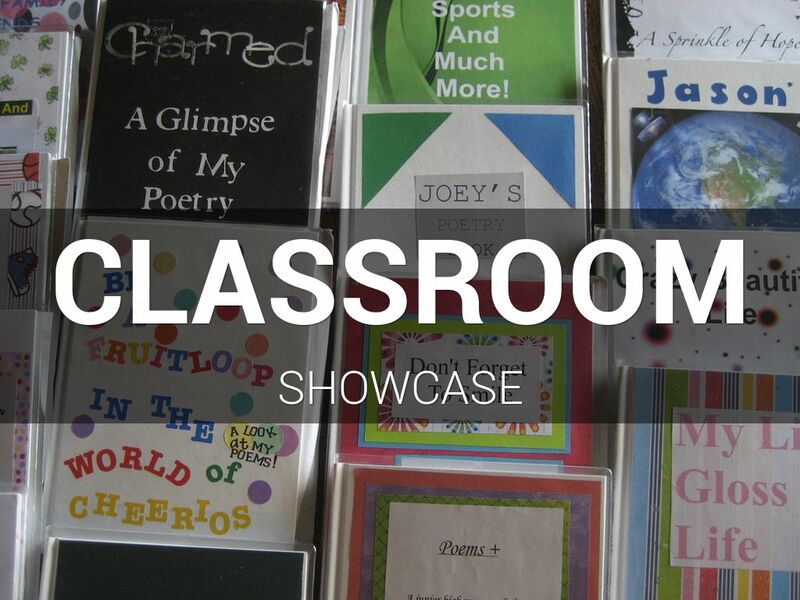 Why not meet other teachers and see what creative, brilliant ideas are being taught? Why not steal those ideas? And share your ideas!! Have you ever shared student work on a bulletin board? Or with another teacher or class? You can do the same thing with social media (with appropriate permission and waivers) and reach a more global audience. It usually peaks their interest to know that someone anywhere in the world could see what they've done! Can students use social media for academic purposes? If you ask them to. Why not have students tweet a reflection? Can students pin ideas for a project? If they have a phone with a camera, students can Instagram a picture of a concept you are studying. Talk about some real world applications! What else can they do? What else can YOU do? 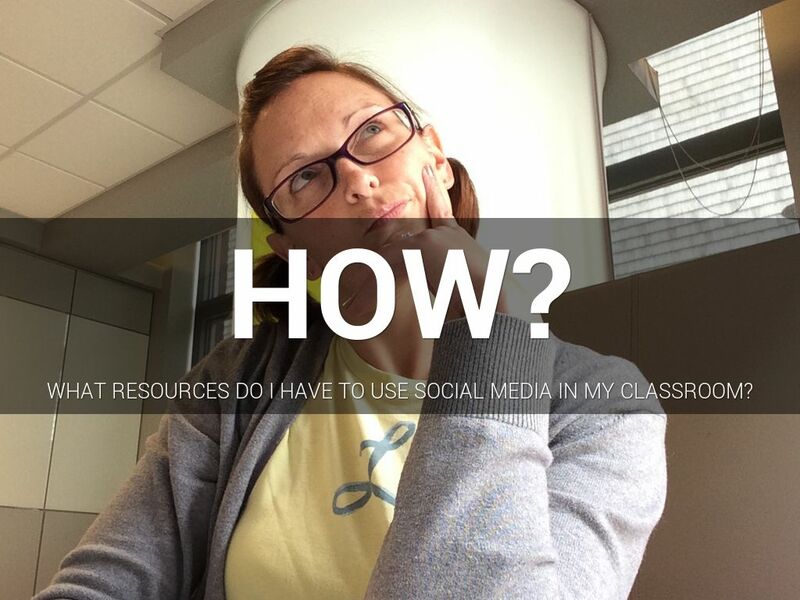 What resources do I have to use social media in my classroom? Soooo how do I get on this "Social Media" bandwagon? There are SO many social media platforms out there right now. We only cover a few! (Yea this is only a few!!) Pick one or two, explore, ask questions, experiment. Ask your students for help. Before you know it...you'll be using social media and rockin' it in the education world. Twitter is a great way to connect with other educators. You have a choice...watch for a while or dive right in! You decide. Pick and choose who you want to learn from. 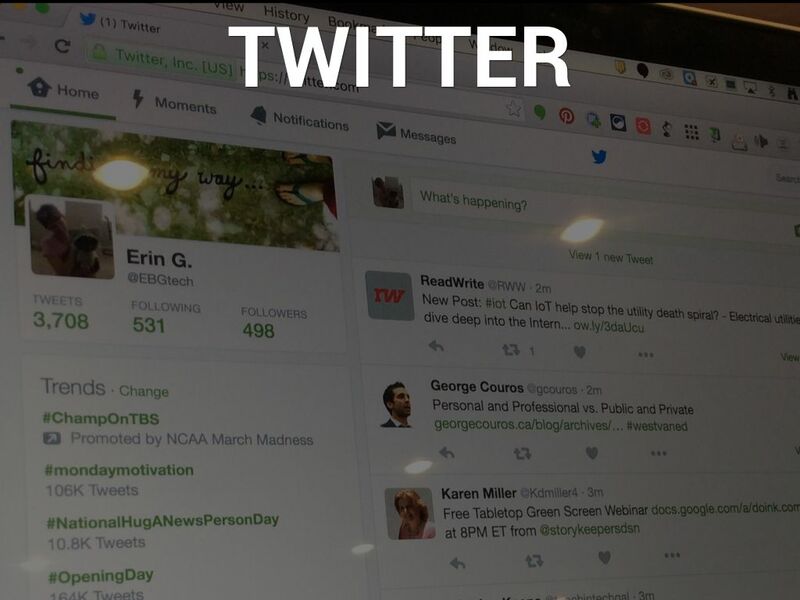 Follow individuals (administrators, teachers, field experts), app developers, ed tech companies, etc. Join twitter chats, ask questions, and share your own thoughts. Pinterest is literally an online board full of sticky notes! 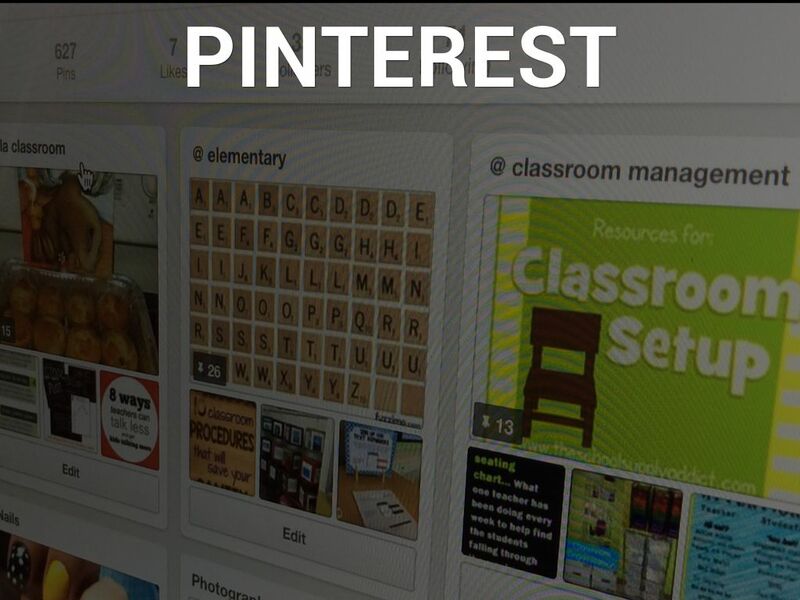 Search for ideas, pictures, directions, blogs, products...then pin them to a board. Organize your pins in a way that makes sense to you. Just like you would those color coded sticky notes. Are you a visual learner? Instagram is almost purely pictures with a little bit of commentary. Find educators that are doing things you want to try. Watch what they post and ask them questions. Instagram is easy to scroll back and look at past pictures to see what everyone is up to! Facebook is a great social media platform. 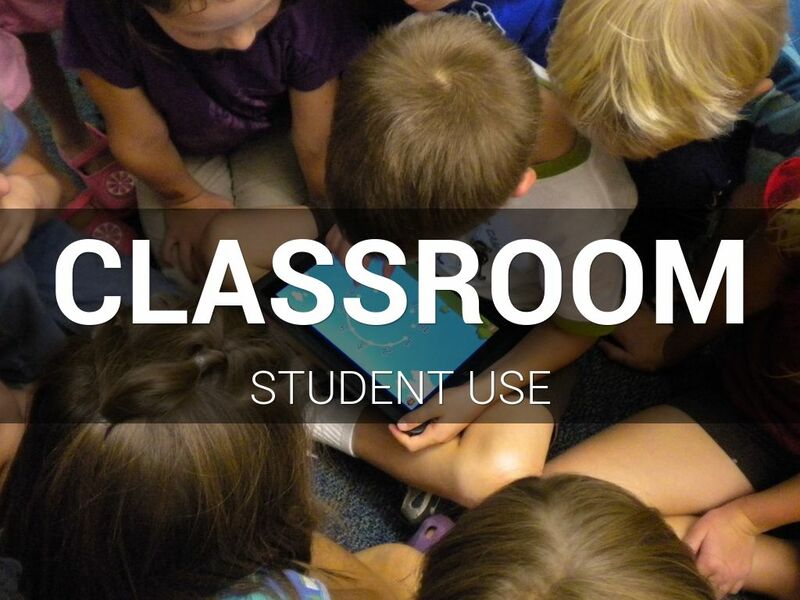 Use it to find ideas for your classroom, communicate with groups of teachers, and find funny memes just to name a few. Did you know that students are typically on Instagram, Twitter, and Snapchat more than Facebook? 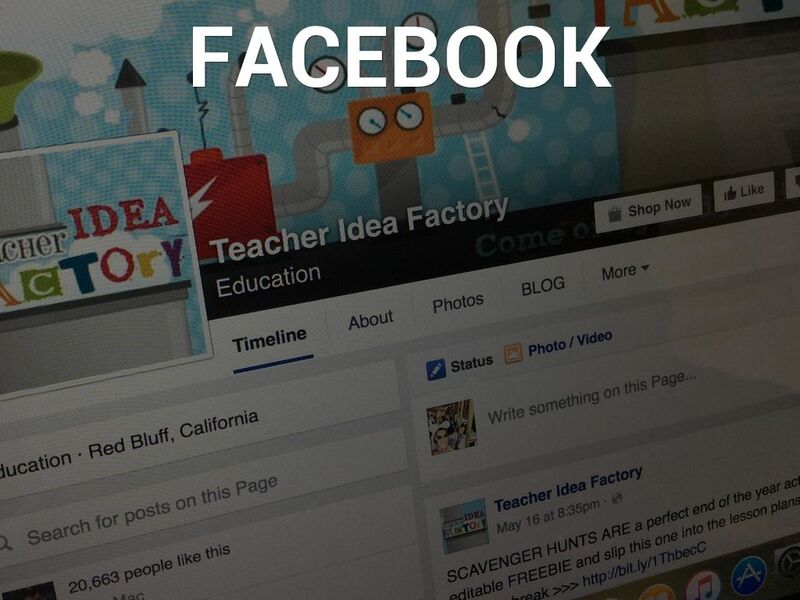 So you decide, if Facebook something for your students or just for you? That's the question with EVERY social media platform. It's about how YOU want to approach it. 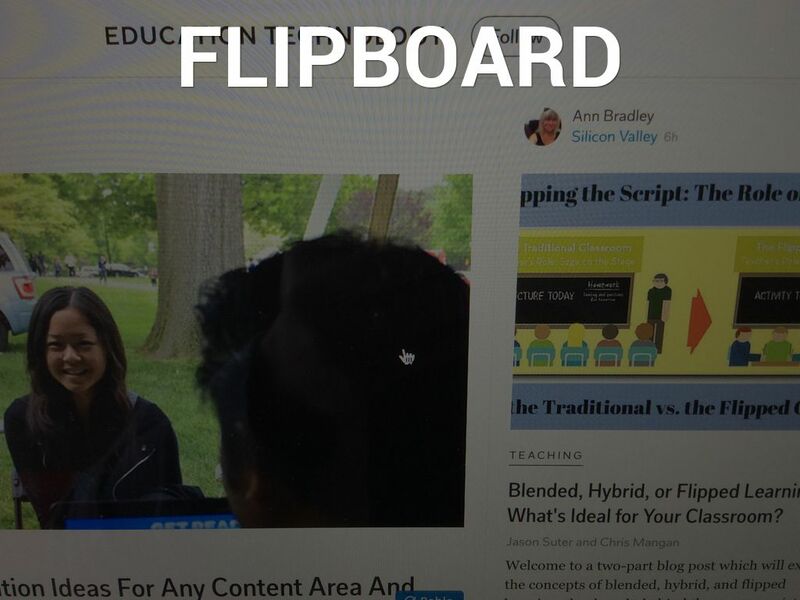 Flipboard is a fantastic place to collect articles of interest. Do you have things you want to go back and read? Do your students need to collect resources? How else would having a place to collect all these resources benefit you and your students? 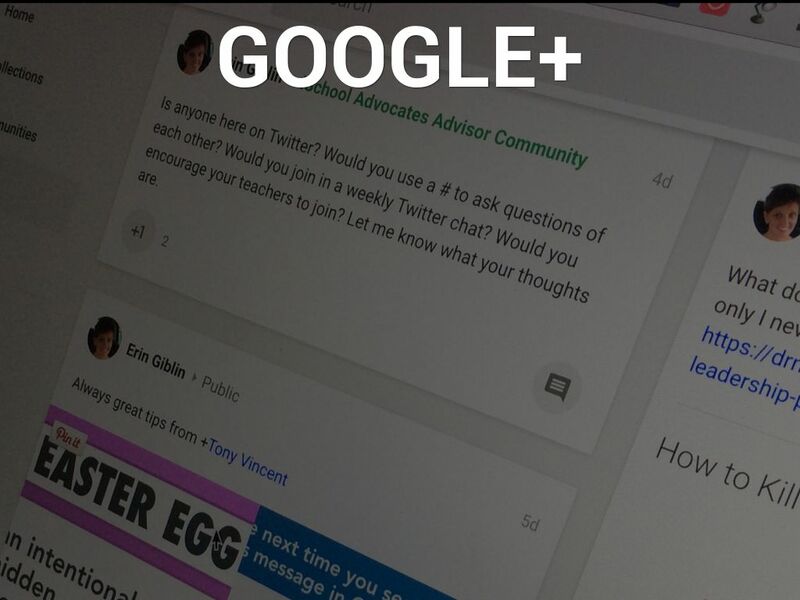 Google+ is awesome in that it ties in with all the Google apps, especially if you're using Google Apps for Education! You and your students can share ideas and have discussions that are limited to only a certain circle. What a great way to work with small groups? Can you record a short (SHORT) lesson showing your thinking? Can students record themselves having a debate? 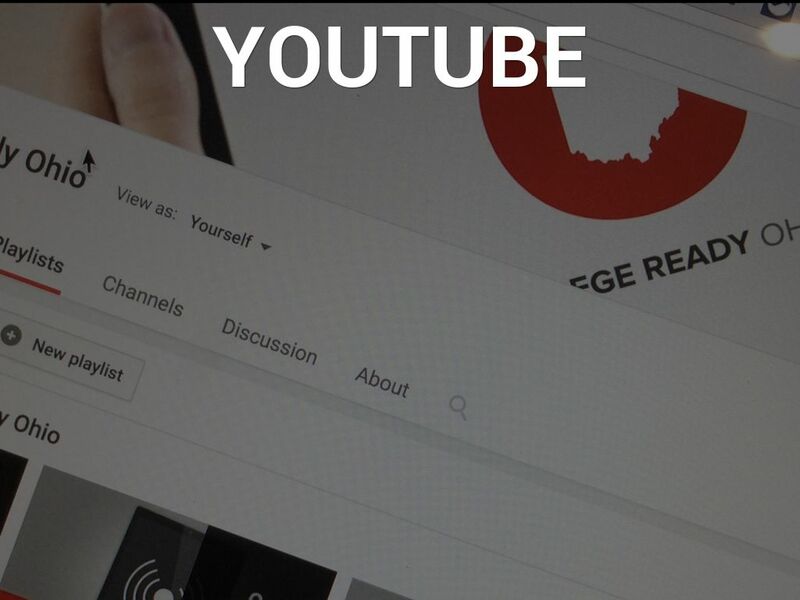 If you want to capture the verbal explanation of ANYTHING...record it and upload it to YouTube. What will you use social media for now? 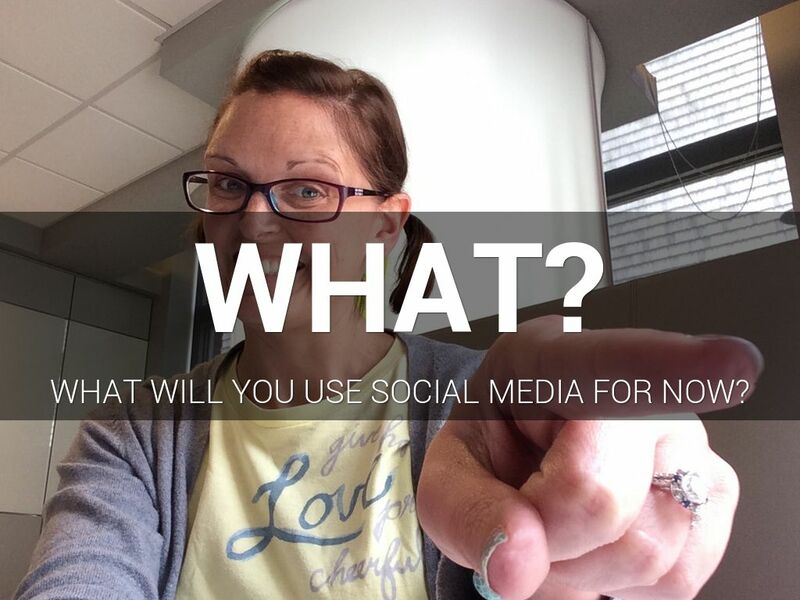 Now...what are you going to do with social media? Are you going to focus on you? Are you going to focus on your students? Which platform makes the most sense for you to try?